Program Makes Delivering Industrial IoT Solutions Cost-Effective and Simple for Lighting Manufacturers, Networking Companies and Others. 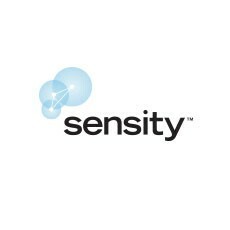 Sensity Systems, the pioneer of Light Sensory Networks (LSNs), today announced an expansion of the NetSense Partner Program that is designed to make it easier and more cost-effective for companies to deliver global Industrial Internet of Things (IIoT) solutions. The program expands beyond lighting manufacturer partners to help enable commercial and industrial manufacturers and service providers to deliver on the promise of IoT. Cisco Systems, the global leader in networking equipment and services, as well as Acuity Brands, one of the world’s leading providers of LED lighting solutions for both indoor and outdoor applications, both recently announced strategic partnerships with Sensity under this program. “The world is enamored with the possibilities that are unlocked by the Internet of Things, but understanding how to execute and where to start is the real barrier to adoption. Today, Sensity has changed the game by delivering a comprehensive and systematic strategy for using LED lighting installations and cloud technology as a cost-effective backbone for IoT applications worldwide,” said Hugh Martin, Chairman and CEO of Sensity. A common set of wirelessly connected, IP-addressable sensor nodes with embedded analytics deployed efficiently and cost-effectively via LED infrastructure. A cloud-based data warehouse designed for limitless scale that receives, organizes and stores real-time and historical data from sensory nodes deployed globally. A comprehensive set of application programming interfaces (APIs) that provide developers access to raw as well as meta data from NetSense nodes to enable a broad array of applications and services, including lighting control, video-based security, smart parking, traffic management and location services. A managed service to ensure sensor nodes, network elements, and APIs are all managed, secure and highly available. Sensity’s NetSense Nodes are wirelessly connected and forms the foundation for the NetSense platform. NetSense Nodes are sleek, ruggedized hardware devices that are packed with sensors—including video sensors as an option—and embedded analytics that are integrated into LED luminaires. Nodes can be located inside the luminaire enclosures or easily affixed to the exterior of light fixtures using an industry-standard NEMA receptacle. To enable NetSense Partners, NetSense Nodes leverage standards-based networking (Wi-Fi, TCP/IP) to transport sensor data to the cloud. By creating a standard connection between the NetSense Nodes and the network infrastructure, NetSense Partners can create an end-to-end IoT platform for application development without custom integration work. The Sensity NetSense platform provides a ‘center of gravity’ for all kinds of industrial IoT solutions. In addition to the sensory node integration flexibility, NetSense also provides on-board (native) video sensors and storage for performing real-time analytics on raw high-definition (HD) video streams for traditional applications such as extending security perimeters, while also enabling entirely new services such as real-time parking availability, traffic reporting and operations management.